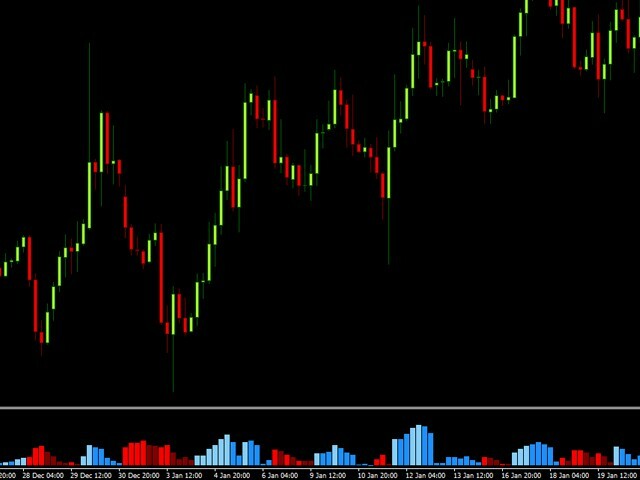 AlioFx Smart Trend indicator analyses the market and tries to display as early as possible when the market changes its direction. 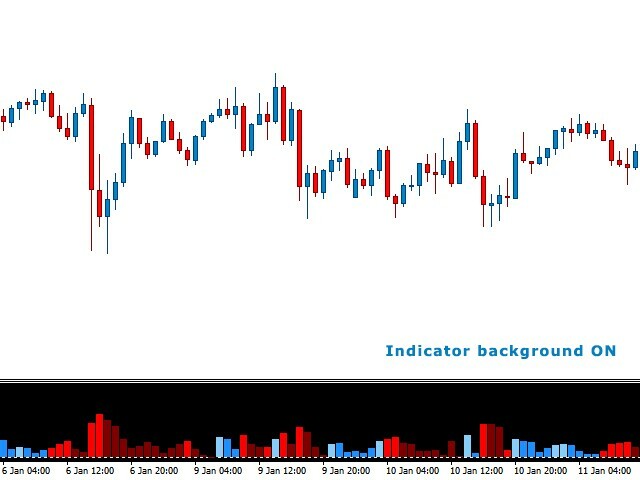 This trend indicator does not use any other indicators, it has an unique system, developed after thousand of hours of chart studies and market analysis, and it only works with the market behavior. 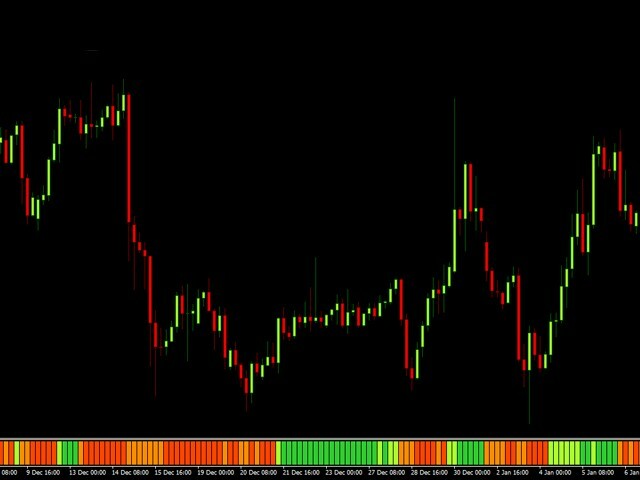 History Candles - Set the number of candles for trend history. 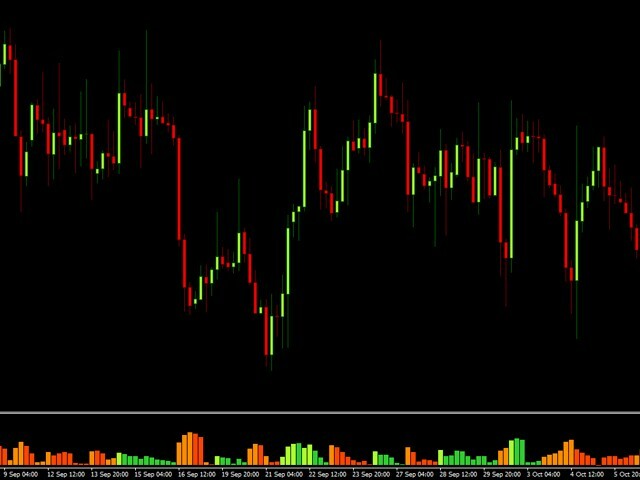 Use a lower number if you have too many charts opened with this indicator on and you experience a slowdown. 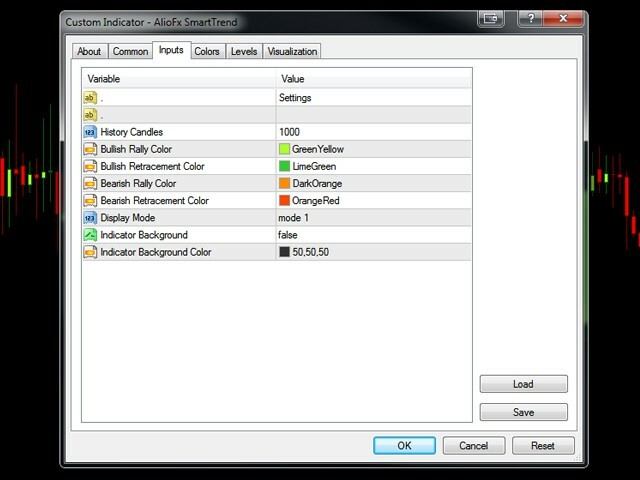 Display Mode - You can select one of the three trend display modes. 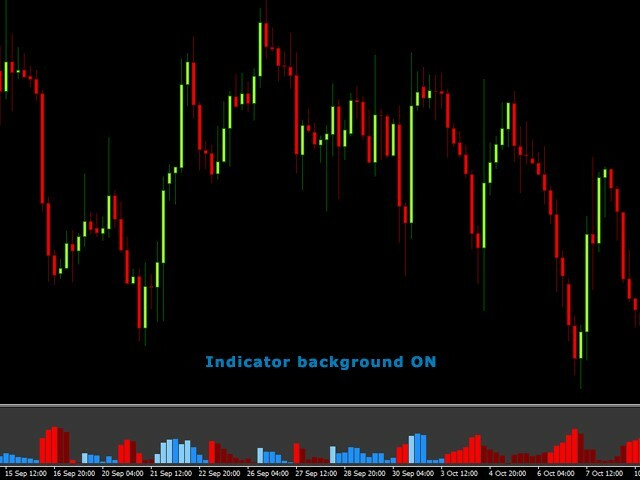 Indicator Background - Select if you want a background for the indicator window. 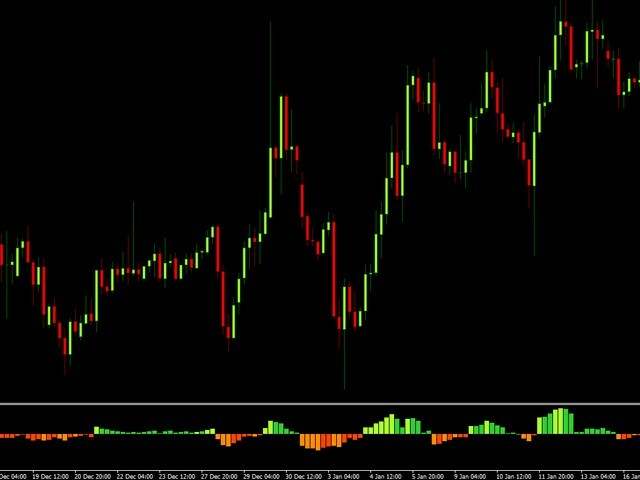 Note: This indicator does not give you buy and sell signals. It should be used with other market analysis (trendlines, support and resistances, patterns, etc. ).